Traveling full-time in an RV across the country can sound like a dream come true. 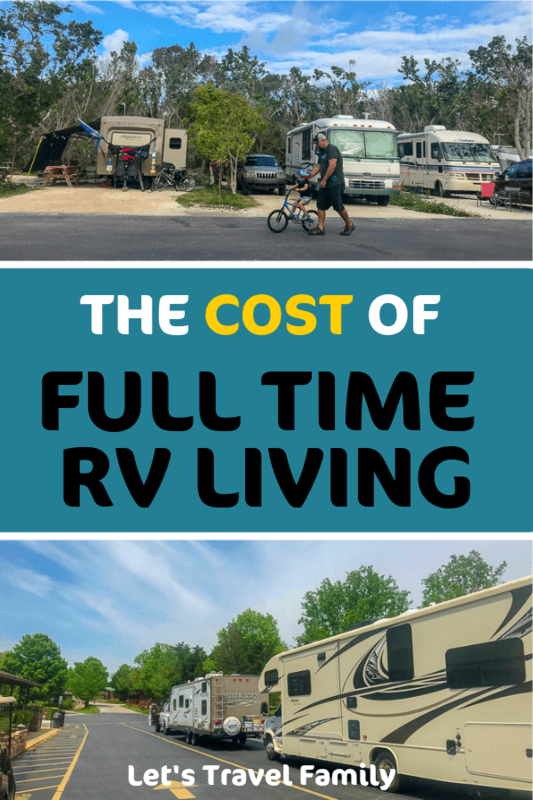 Yet, one of the first questions people ask is: What is the cost of full time RVing, really? Do you save money if you sell your house, buy an RV, and hit the road full-time? Or, is the cost of RV living more than your current monthly expenses living in a sticks n bricks (your house without wheels)? 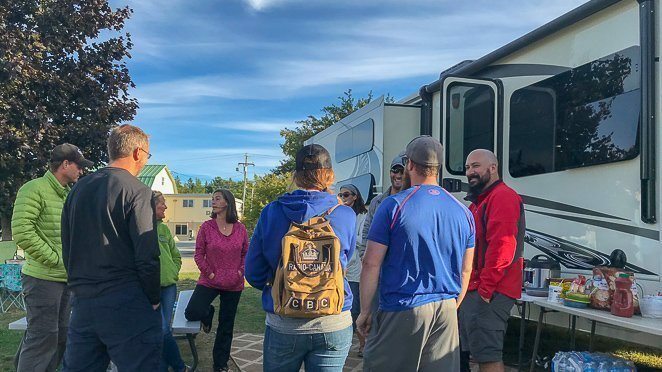 Tony and I decided that it was time for us to answer this question in detail to help you understand your options if full time RV living with your family is a dream of yours. You see, we understand the need to have as much information in front of you before you make such a huge decision. That’s what we needed before we became a full-time RV family back in the Spring of 2017. RVing can be as expensive or inexpensive as you choose. We often hear about families who travel full-time that are able to make it happen on a much smaller income stream, while others had received a huge raise and find that they were not saving any extra money by traveling full-time, but spending it all. It really depends on your goals, budget, and what type of travel-life you want to live. Living on a full time RV income can be possible, it just depends on your mindset and RV lifestyle. It really does vary depending on if you are buying new, used, or very used and need to invest in some time and money to remodel the RV. Honestly, anywhere from $5,000 to $500,000! It also depends on if you plan to purchase a motorhome and already have a towed (a small vehicle that you will tow), or if you are purchasing a travel trailer or fifth wheel which will require a good-sized truck to tow it with. RV prices can vary quite a bit. There are advantages and disadvantages to each type of RV. Sometimes an RV tour can help you visualize what might be better for your family. We financed our RV when we launched in 2017. So, our monthly RV cost is $709. Your monthly fees for camping can vary depending on which type of campground you end up staying in. If you choose RV campground or RV resorts, the prices can range from $40 – 100 per night and often give you ‘full hook-ups’. Meaning, you have water, electric and sewer hook-ups at your campsite. Joining some campground membership programs can help you cut down on your RV camping fees. Yet, if you plan to camp in a national park, state park, or county park campground the prices can range from $10-$35 per night. They also do usually have sewer hook-ups and sometimes only provide electric. If that’s the case, they will have a dump station and fresh water area to use before you set up or after you tear down camp. Membership campgrounds can offer you the opportunity to save money while living in a camper or RV. Thousand Trails is a membership program that we use, and it works really well for us. We pay about $75 per month for our dues to cover our membership. 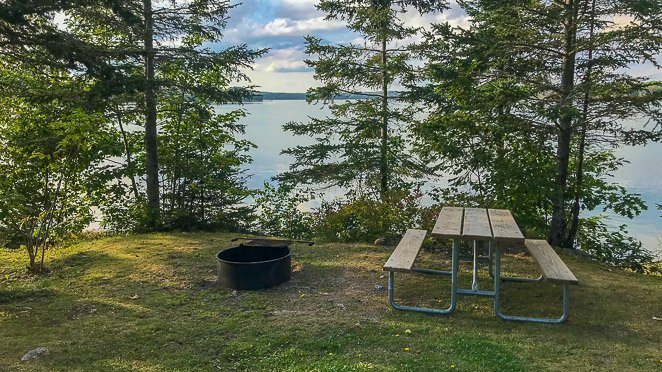 We can then stay up to 14 days in one of the Thousand Trails campgrounds within our zone of the nation, for no additional fees, as long as we are out of the Thousand Trail system for 7 days prior to our stay. So, this allows us to stay anywhere from 1-21 days per month in a TT campground for no additional fees beyond our monthly fee. One of the best tricks to cheap RV living is to boondock. Boondocking means you camp without hook-ups and usually for free. So, as long as your RV has a generator or solar to provide basic electrical functions, you could seek out places to camp for free. One great resource is Boondocker’s Welcome. We paid a $35 annual fee to be members, and now can sign up and book 1-3 nights of boondocking in a friendly camper’s driveway all over the country. Sometimes, they even offer electric hook-ups and access to fresh water! You can also boondock on BLM land across the USA. Campendium is a great website and resource that we use to find boondocking campsites. We have also boondocked at Cracker Barrel, Walmart and Cabela’s parking lot for a quick overnight. In this case, it’s a place to park and sleep during the evening hours so that you can get back on the road quickly again the next day. Moochdocking is a term that is used when someone full time RVing is invited by family or friends to park it in their driveway and use their electricity and water. We have enjoyed moochdocking, not just for the money savings but for building our friendships. Even just for a few nights, it can cut your expenses down quite a bit and allow you to connect with family or friends all over the country. Our monthly budget for campgrounds is $600 per month. That includes our $74 per month that we pay for our Thousand Trails membership, which allows us to stay in their campgrounds for no additional expense. This one can be tough, because the price of gas fluctuates depending on what part of the country you are in and what season it is. It also depends on how many miles you plan to travel in one month, and then once you arrive how often you plan to travel around the area in your extra vehicle. Try to decide how quickly you plan to travel or how frequent you will pack up and move on. RV life can become a bit stressful if you travel too frequently. We try to keep our travels down to once every 1-2 weeks, however I know families that stay up to 4 weeks at each new location. Our monthly budget for gas to cover our motorhome traveling at 8 miles per gallon and our minivan also traveling, as we don’t tow, at 22 miles per gallon is $500 per month. How much does RV insurance cost? Well, it depends on which state you domicile in, your driving record, and if your RV is newer or used. You also need to take into consideration if you can receive a discount on your insurance plan by having your second vehicle under the same policy. Whichever insurance carrier you decide on, be sure to ask for full time RV insurance. For full coverage under a full-time RV insurance policy for our motorhome, we budget $84 per month. Then our van is $68 per month. Are you prepared to spend some money on tires, a water pump, or a new rug? When living in an RV full time, you will need to budget maintenance expenses. Just like owning a house, you will have repairs and other things that come up. We budget $100 per month for RV repair and upkeep. Some months we don’t spend any of that, and other months we go over. It all depends on what’s needed. Instead of paying for electric, gas, cable, water, trash etc. in a regular house, you will have a few other expenses in an RV such as propane. The amount of propane you use each month can vary. It depends on how often you use your stove and oven, if you have a propane water heater and how often you run your furnace. We budget about $30 per month on propane. Some months we need to fill and others we don’t and save money. 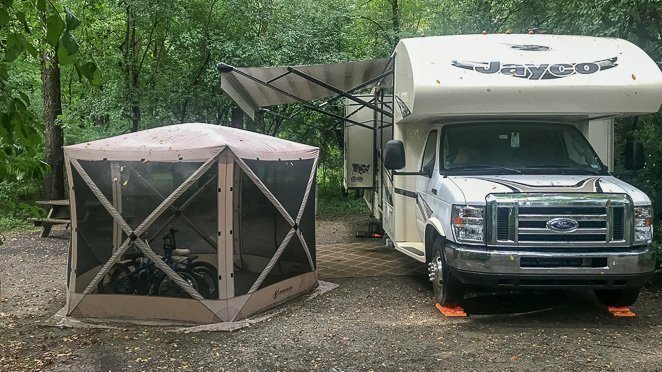 When we launched to travel full-time, we found it SO helpful to read other full-time RV living family’s budgets. It makes it so much easier to picture if this is a life you could afford to live. 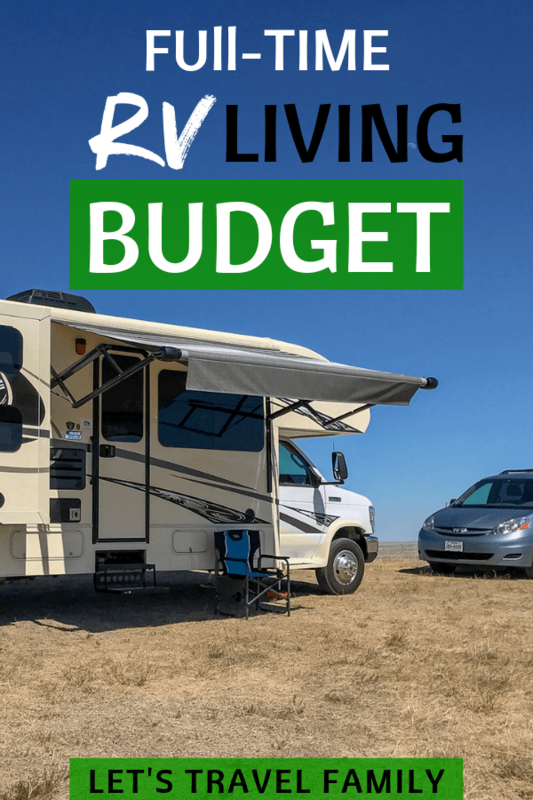 Below, we listed all of our ‘other’ monthly budget expenses outside of RV specific items. Now, Tony would argue that a budget for good internet is specific to full-time RVers. However, I included this budget below. Our family of 6 travels full-time in an RV with a budget of $4,981. Right now, Tony works for a great company that offers medical insurance as a benefit. So, the $780 is taken out of his paycheck pre-taxed and before we even see it. So, we think of our expenses as really being around $4,201 as we never actually see or pay for our insurance. Are we in the high range of expenses for a family of 6 that travels full-time? No, not really. Not after I spoke with many other families during our travels. Honestly, I feel we are close to about average. I know several families that spend well over $6,000 per month while I’ve also met others that keep their budget under $3,000 while living in a camper full time. The cost of full time RVing can fluctuate and change depending on your traveling style, and how much you want to spend when you arrive at a new destination. I know that when we show up to a one of our bucket list destinations, we are thrilled to be there and it’s hard not to go over your ‘spending’ budget and do all the fun things there. 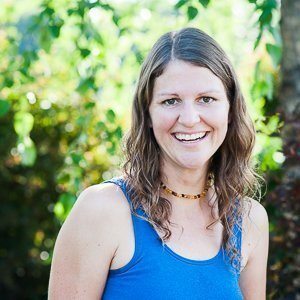 Are you a full-time RVer or do you want to be one? 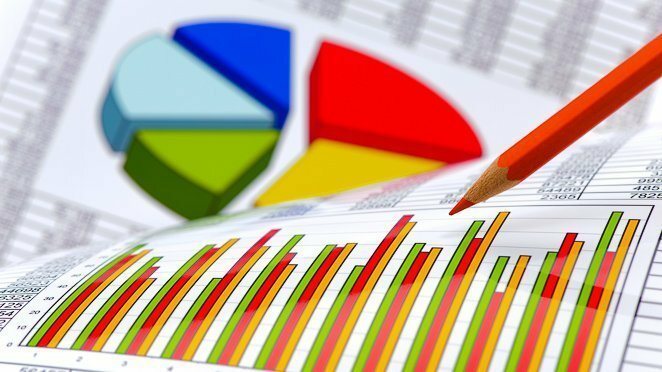 Have you ever sat down to make out your budget?